States could bring these charges if Trump tries to pardon his way out of the Mueller probe. If Trump tries to evade the Mueller investigation, states could bring these criminal charges. Robert Mueller and New York Attorney General Eric Schneiderman, above in 2016, are talking and cooperating in their investigations. This piece was originally published on Shugerblog and Just Security. After President Donald Trump pardoned former Sheriff Joe Arpaio last month, observers feared that the president was just warming up his pardon pen for members of his inner circle who may be targets of criminal investigations. Many legal experts have said there would be no recourse other than impeachment, but at least these pardoned defendants would lose their Fifth Amendment privileges against self-incrimination, and as a result they could be forced to testify against Trump in some forum. Those experts are wrong on both counts. These defendants, if pardoned by the president, do not lose their Fifth Amendment privileges, precisely because presidential pardons affect only federal criminal liability but not state prosecution. Based on what we know now, all of these defendants could face state prosecution for many of the same alleged acts. Individuals pardoned by Trump may thus still claim they cannot be forced to say anything to incriminate themselves and that they remain exposed to criminal prosecutions at the state level. Some legal experts have doubted that states have jurisdiction over crimes committed in a federal presidential campaign, but they miss the bigger and longer-term picture of the Russia investigation, and they overlook the details of how that collusion likely happened. I have argued before that in trying to block special counsel Robert Mueller’s investigation, Trump can’t escape the states. If Trump fires Mueller and his team, state attorneys general and state prosecutors can hire them. If Trump succeeds in pardoning the defendants or himself, state prosecutors can step in without violating the rule against double jeopardy because of the legal concept of “dual sovereignty”: States and the federal government have overlapping but separate sovereignty, and each can bring its own prosecutions for the same acts as long as those acts violate both federal and state laws. For example, in the Rodney King case, police officers were found not guilty in California state court, but they were later convicted in federal court for federal crimes that covered the same set of acts. One major recent development is that Mueller and New York Attorney General Eric Schneiderman are talking and cooperating in their investigations. This legal background of dual sovereignty is what makes this news so important. Here’s why. Even if the Supreme Court’s interpretation of the Fifth Amendment’s double jeopardy clause allows states to follow the feds with their own prosecutions, some states (including New York) have a special statute that can occasionally prevent a state from bringing its own prosecution after a federal prosecution has advanced to trial. In New York, a state statute prohibits separate prosecutions for “two offenses based on the same act or criminal transaction” in many cases, and the statute appears to apply to separate state and federal prosecutions, even though there are several exceptions. The next question is when double jeopardy applies. You don’t need a full trial or conviction to count as a first prosecution. In 1978, the U.S. Supreme Court held that jeopardy attaches once a jury is sworn in (or for a bench trial, when the judge swears in the first witness). Of course those points in time are based on an interpretation of the U.S. Constitution, and states may interpret their statutes’ applicability differently. These state statutes raise the possibility that Trump might, intentionally or unintentionally, issue pardons only after federal prosecutions have advanced to a certain stage. It is not hard to imagine his doing so with the defendants in those cases well aware in advance that he plans to pardon them (so they need not plea bargain or cooperate). Such scenarios can be eliminated if Mueller coordinates with Schneiderman, and if New York prosecutors go first. Then Mueller’s team can coordinate with New York prosecutors to work out a deal for these defendants to cooperate. The same coordination can work with other state prosecutors, as well, because many states may have jurisdiction to prosecute many of the crimes listed in the next section. What are the strongest kinds of cases that state prosecutors could bring against Trump’s circle? 1. Tax fraud. Other major Mueller news is that he is working with the Internal Revenue Service, suggesting that the special counsel may already be moving toward tax fraud prosecutions starting with Paul Manafort, and probably Michael Flynn and anyone with unreported income. Considering how many Trump campaign figures may have hidden foreign income, tax fraud cases may be relatively strong and straightforward. The key point here is that if they violate federal tax laws by not reporting income, then they have most likely violated state tax laws as well. In fact, Georgetown Law’s Greg Klass has already wondered if Trump himself may have been violating New York tax laws for a long time in manipulating tax breaks. 2. Money laundering. Trump entities have been fined repeatedly for failing to abide rules to prevent money laundering and for their involvement in money laundering. There are serious concerns that the Trump Organization may have used real estate deals with Russian oligarchs to launder their assets, and the Trump Justice Department’s recent low-ball settlement in a case of Russian money laundering raises additional questions. Deutsche Bank, the only Western bank that continued to loan Trump money, is infamous for its own money laundering links to Russia and former Soviet states. Manafort is reportedly a target of Mueller’s money laundering investigation, and he probably isn’t the only one suspected. Mueller and Schneiderman are reportedly already cooperating in the money laundering portion of the investigations into Trump officials. New York state statutes also criminalize money laundering for these steps in Penal Law Art. 470. Trump’s entities cross several state lines, making those states’ laws potentially relevant too. 3. Conspiracy in computer hacking (and stolen property). Did any members or affiliates of the Trump campaign solicit or conspire with Russians to hack the Democratic National Committee’s computers and John Podesta’s emails? Congress has criminalized computer hacking in the Computer Fraud and Abuse Act of 1986. New York has similar criminal statutes for computer tampering (Public Laws 156.20, 156.25, 156.26, and 156.27, punishable by up to 15 years prison) and computer trespass (Public Law 156.10, punishable by up to four years in prison). In June 2016 in Trump Tower, Donald Trump Jr., Manafort, and Jared Kushner met with Russians, who allegedly brought opposition research material that may have been acquired through illegal hacking. One of these Russians has already testified before a grand jury. Many states could bring prosecutions for computer hacking, because their jurisdictions can be based on the residence of the victims. If someone conspires in Maryland to murder someone in Virginia, Virginia has jurisdiction based on the victim’s residence. The same is true if someone in New York conspired to hack computers, and the victims were foreseeably in Virginia and Maryland, as well as in many other states. There’s also a wild card: States criminalize the solicitation, possession, receipt, and aiding in the concealment of stolen property, so there may be a basis for treating the theft of valuable personal information and company documents as a kind of stolen property. 4. Conspiracy to violate privacy. There is already a strong civil lawsuit against the Trump campaign for allegedly conspiring in the violation of privacy rights through the Russian computer hacking and dissemination of emails. There’s also an immediate question of criminal liability. These same privacy allegations could be the basis for criminal enforcement of privacy protections, even though many states like New York have only narrow definitions of privacy violations under criminal law. Because the alleged conspiracy violated the privacy of so many victims in so many states, some states with more robust criminal protections of privacy rights will have jurisdiction. 5. Loan fraud and mortgage fraud. 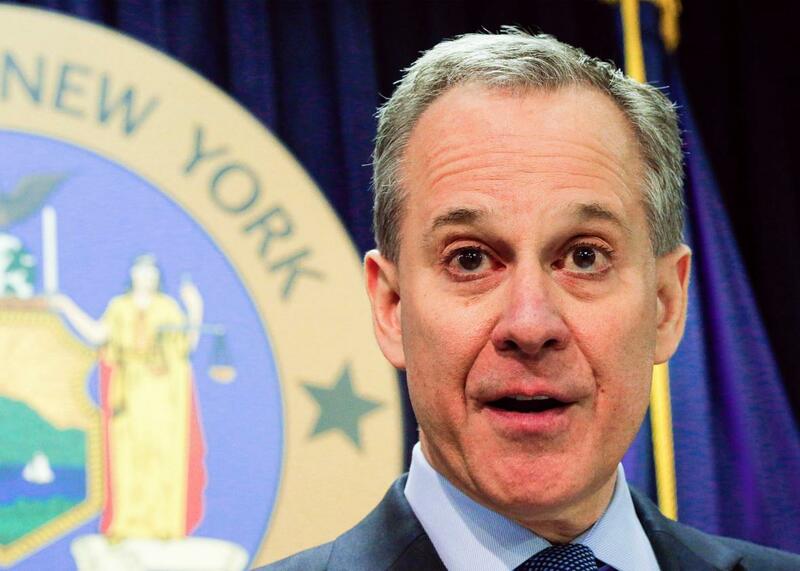 New York criminalizes loan fraud and mortgage fraud. Jared Kushner’s disastrous purchase of 666 Fifth Ave. for $1.6 billion in 2008 and his desperate effort to refinance it has generated many questions. One of them: How did Kushner manage to secure a $1.6 billion deal with only $50 million down? All of these transactions and attempted refinancing arrangements could raise the possibility of investigations into any potential fraud and quid pro quo bribery. 6. Quo warranto powers. Every state attorney general has the power to investigate “ultra vires” wrongdoing by corporations in his or her state and to dissolve those corporations, as a modern extension of the English “quo warranto” writ. Delaware and New York can investigate the Trump Organization for emoluments, as the Trump Organization is incorporated in those states. Other states like California have the power to investigate other entities like Trump hotels (as limited liability companies). This power does not itself involve criminal enforcement, but it does empower the states to investigate any fraud, which may turn into criminal prosecutions. Perhaps a state prosecution for firing James Comey is a stretch, but there may be other acts—like the destruction of evidence, witness tampering, or lying to investigators—that would be closer to obstruction in New York or in other states. “Misprision of a felony,” which I have explained in this post is the federal crime that puts the vice president in jeopardy, may also apply in Virginia, but such a state charge also may be a stretch of a criminal statute that already is obscure and rarely charged. Finally, are there any legal obstacles to this approach? One skeptic, Frank Bowman, suggested in Slate that the U.S. Constitution’s Supremacy Clause might be a barrier but offered no case law to support such an interpretation. The existence of the dual sovereignty doctrine and the precedents of federal and state prosecutions for the same act demonstrate that the Supremacy Clause has not limited these state powers. His questions are more about the politics and traditions of prosecutors, but if Trump is contemplating pardons to thwart justice, prosecutors in many states will have public opinion on their side, and many would find that the traditions of federalism and the rule of law more compelling than a tradition of deference to federal prosecutors. Sometimes federal pre-emption principles prevent a state from treading into federal territory, but I haven’t seen any evidence that Congress considered pre-empting state law in these areas. There are questions about how state prosecutors can coordinate with federal prosecutors. In past cases of investigating and prosecuting organized crime, state and federal law enforcement often cooperated and coordinated closely. (And there may be ties to organized crime in this investigation). Grand jury testimony, even if it is kept secret from the general public, can be shared by federal prosecutors with state prosecutors. There is a general practice for state prosecutors to defer to federal prosecutors when the offense is primarily a federal one, and conversely, federal prosecutors have a general policy not to bring federal charges after a state has already prosecuted, called the Petite policy. But both sets of practices are based on norms and guidelines, with lots of exceptions. In these cases, if there is a question about Trump using federal pardons to impede the investigation, Mueller and Schneiderman (and perhaps other state prosecutors) have good reason to make exceptions here, and have justification for a very unusual step: a state prosecutor bringing the first charges involving the investigation of a U.S. president and his campaign.